In this post, Rocket Code’s CEO and Senior Engineer discuss four components of an ecommerce website that should be scrutinized in order to maximize return on investment in a CRO program. Smart email marketing not only drives revenue but can greatly enhance the ecommerce customer experience. 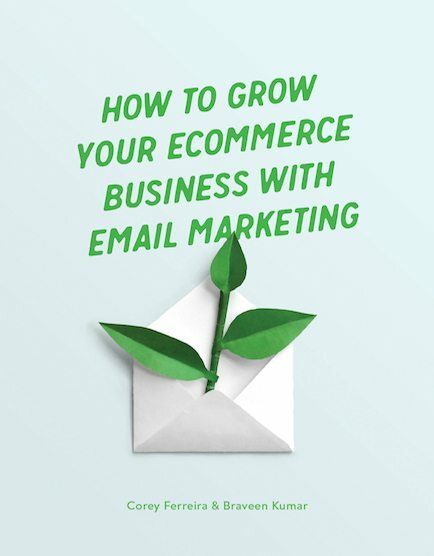 This email marketing guide will provide you with insights and ideas to fuel your business. Being a mother and an entrepreneur doesn’t have to be compartmentalized into separate things. Moms everywhere are making it happen, simultaneously nurturing small businesses and small humans. In this post, we’re going to tell you why you must implement a popup for your store, the pros and cons of having a popup and the best practices to get it most from it. On this podcast, you’ll learn from an entrepreneur who successfully raised nearly $400,000 through crowdfunding and why he thinks established brands should not use crowdfunding. In this post, we will share 8 marketing tactics that you can implement immediately, with an app for each one, from automated email marketing campaigns to implementing a referral marketing effortlessly. Things are getting exciting but launching an ecommerce business can be stressful. So we’ve put together a 10-point launch countdown to prepare your business for a successful launch to the world. We’ll review some of the pros and cons of offering deals for your online store and look at the most popular ways you can use discounts to drive conversions and, of course, how to most effectively use them.